You will love this hip, sun soaked loft in the Mission. Centrally located to the popular restaurants, cafes & shops of the Mission, SOMA & Potrero Hill. Enjoy sunny afternoons on your private deeded patio that leads to the large common area which is outfitted with seating, tables & a BBQ; the perfect spot for your next get together! Neighborhood favorites include Blue Bottle Coffee, Universal Café, Heath Ceramics, Whole Foods, Coffee Bar, Gus’s Community Market, Trick Dog, Flour & Water, Central Kitchen, Sightglass Coffee & Mission Bowling. For the basics, Potrero Center is a block away offering a Safeway & a Petco. Franklin Square Park is across the street; the perfect spot to for Fido to romp after napping all day under the expansive windows. Commute options outside of walking & biking are Muni, Bart, Caltrain, tech shuttles & Highways 101 & 280. 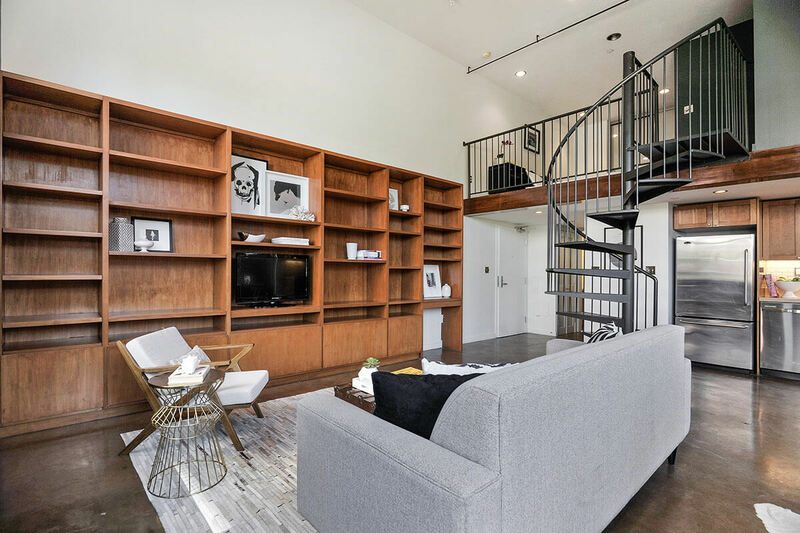 Additional features include: two full bathrooms, in unit laundry, dishwasher, a custom media/storage cabinet, a deeded parking space with storage cabinets & polished concrete floors on the main level. Walk & bike score of 95; transit score 84.